See more news issues covered in Religious Liberty in America. See Flash demo of Religious Liberty in America. The German and American forms of government share much in common – federalism, separation of powers, and the guarantee of basic civil rights. The two countries differ in their arrangement between church and state: While the United States Constitution bars any religious establishment, Germany maintains a form of “plural establishment” – whereby the government collects taxes in support of a variety of religious institutions that have been granted “public law corporation” status. This type is system is one that the Founding Fathers of the United States seriously contemplated more than 220 years ago. 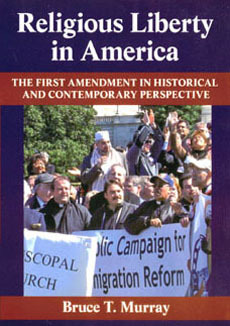 The new University of Massachusetts Press book, Religious Liberty in America: The First Amendment in Historical and Contemporary Perspective by Bruce T. Murray, explains how the United States arrived at its unique constitutional arrangement between church and state, as enshrined in the First Amendment. A critical debate leading up to the First Amendment occurred in Virginia during the 1780s, when the state Assembly took up the question of whether the state would have an established church — harking back to the Anglican Church of colonial times — or if the state would “disestablish.” Statesman Patrick Henry offered a compromise, whereby the state would support “teachers of the Christian religion” — clergy who would be funded by a property tax. The plan would allow taxpayers to designate which particular denomination their money would support. The concept being proposed closely resembles what exists in Germany today. Religious Liberty in America traces the roots of the First Amendment from colonial times through the Founding period and subsequent interpretation by the Supreme Court. Murray’s book further surveys religion in American society for the past 400 years – from early debates to present controversies, such as the mixing of religion and politics, battles over religious symbols in the public square, the “culture wars,” immigration and faith-based initiatives. – Philip Goff, Professor of Religious Studies and Director of the Center for the Study of Religion and American Culture, Indiana University-Purdue University, Indianapolis. 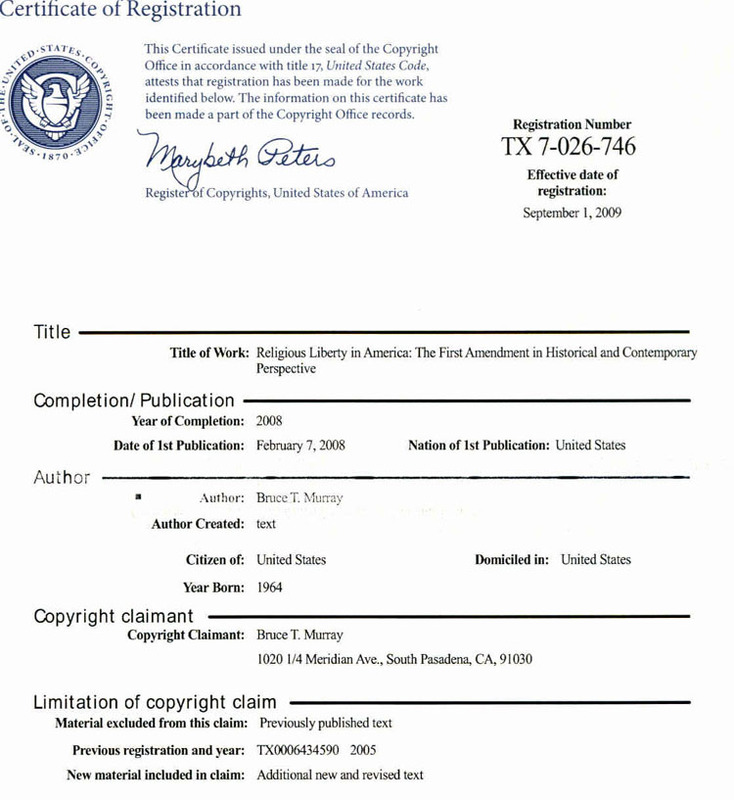 Purchase Religious Liberty in America on the University of Massachusetts Press Web site, or call 800-537-5487. Find out more about the author here.